Step 1: Click your username in the upper right corner of WarriorPlus. Step 2: Click "account settings". 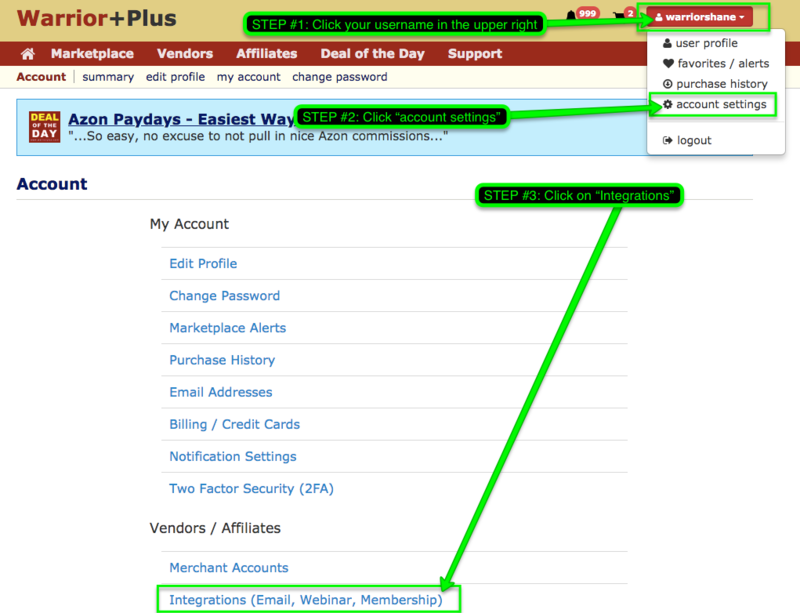 Then, you will be taken to the Integrations page. Once you select a service, you will be taken to a page where you will be prompted to enter the information required to integrate your account. Some of that information may need to be provided by the service you are integrating with, such as API Keys, etc. If you have any issues, feel free to open a support request by clicking on the chat icon in the lower right hand corner of the screen.